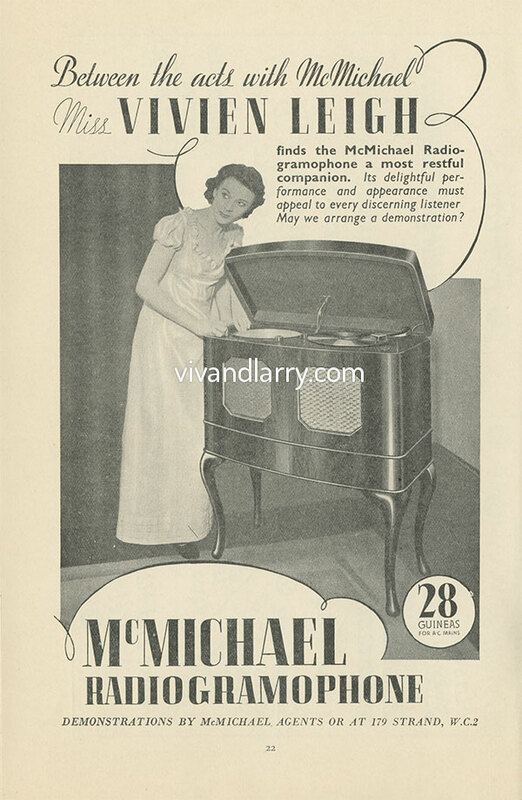 Also in the above programme is this advertisement for McMichael Gramophones. 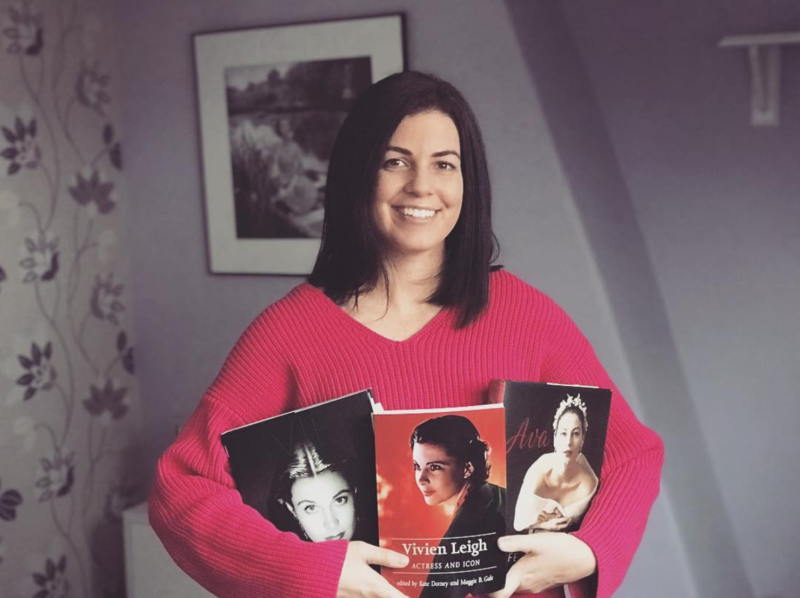 Vivien didn’t lend her image to many advertisements in her later career so it’s very interesting to find early examples. 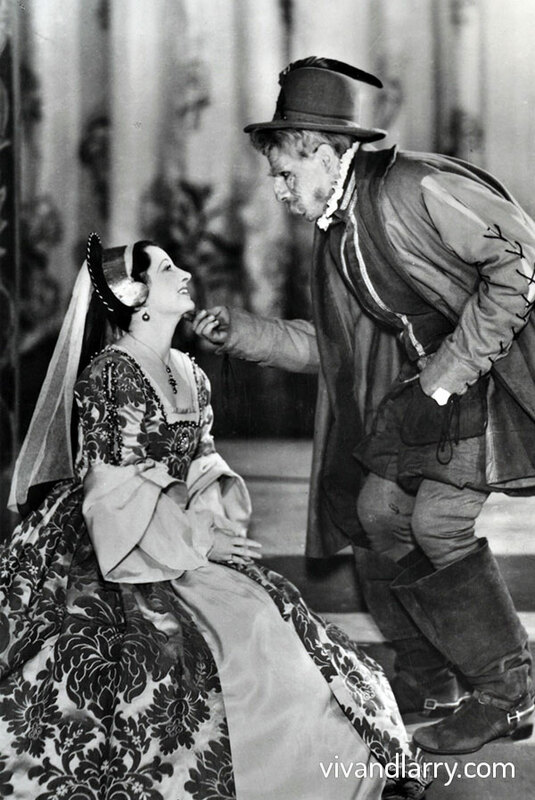 Jill Esmond as Olivia and Laurence Olivier as Toby Belch. 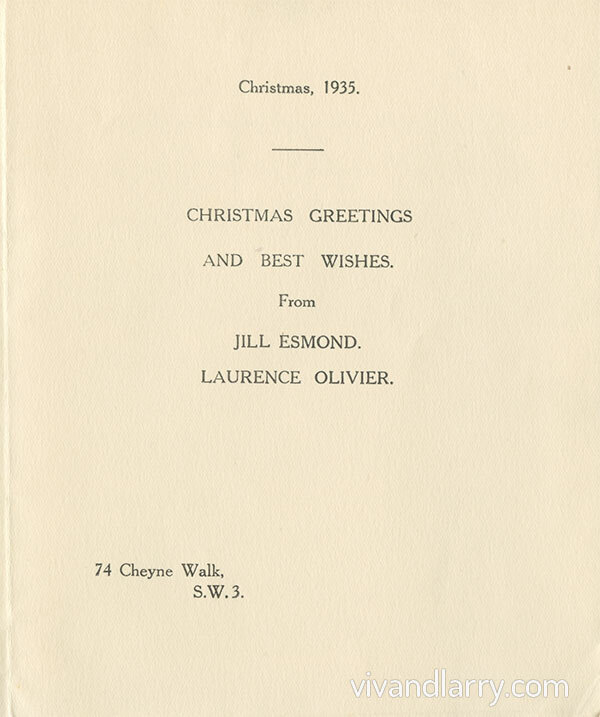 Shakespeare’s Twelfth Night, The Old Vic, 1937. Photo by J.W. 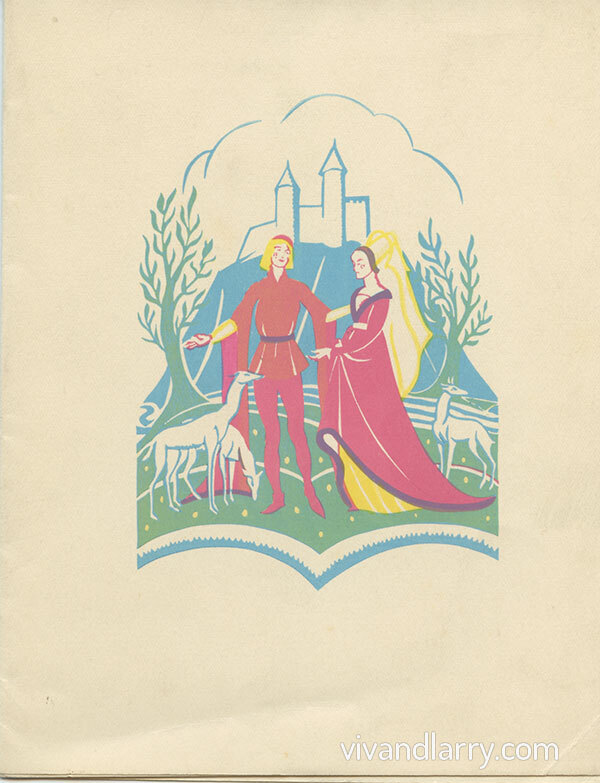 Debenham. 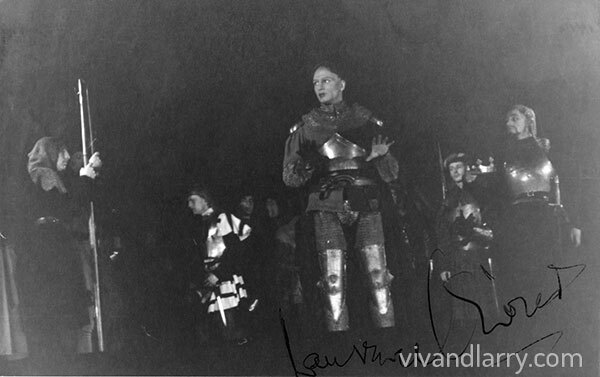 One of a set of 10 snapshot photographs taken in situ by an unknown member of the audience during a performance of Henry V at the Old Vic, 1937. 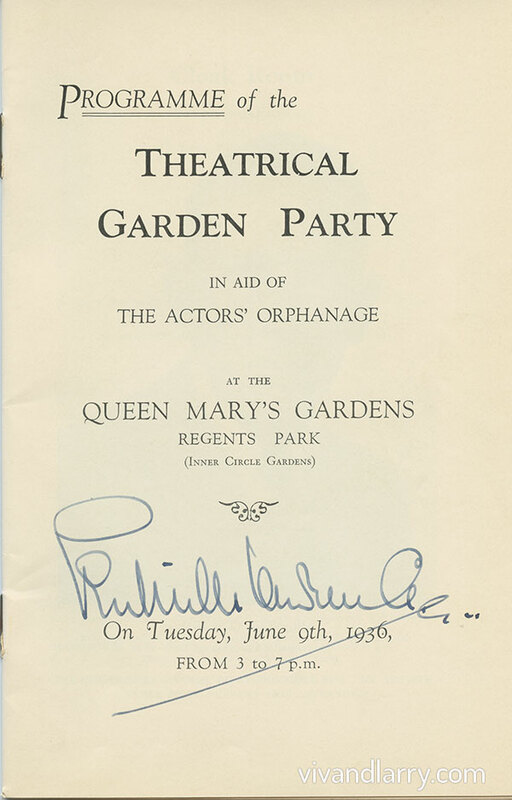 Several of the images were autographed by cast members. 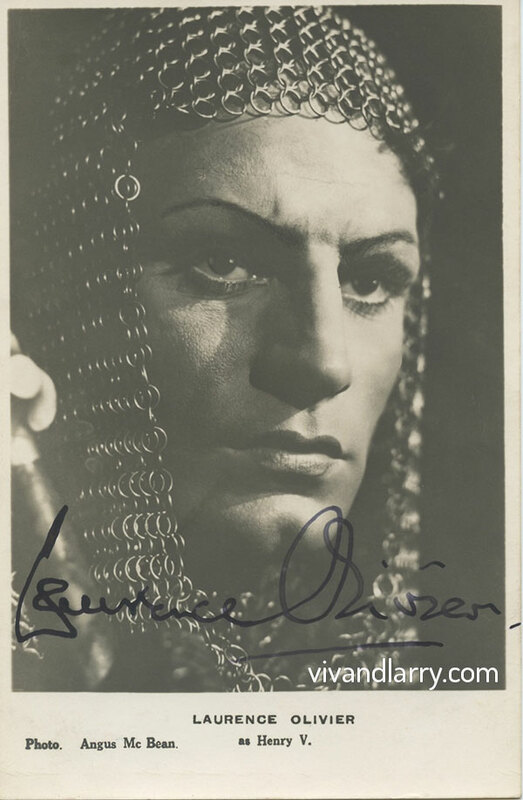 Autographed postcard with image of Laurence Olivier as Henry V at the Old Vic. Photograph by Angus McBean. 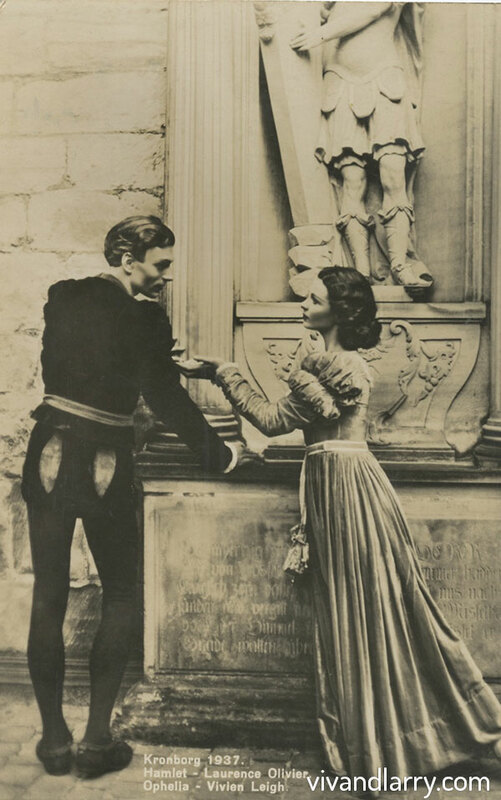 Vintage Danish postcard showing Laurence Olivier and Vivien Leigh in the Old Vic production of Hamlet. Kronborg Castle, Denmark. 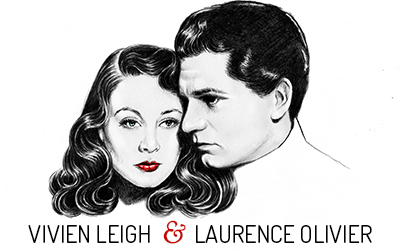 If you enjoy the content here at vivandlarry.com, please consider becoming a Viv and Larry Patron. Click the banner below to learn more about patronage and the perks you get in return. That is on gargantuan task ,Kendra .Well done!